In order to combat fake products in the Vaping market and protect our treasured Suorin consumers, we launched a new anti-counterfeit system. This will ensure a near 100% validated genuine Suorin product for our valued consumers. Following you will have a full understanding of how this new anti-counterfeit system works. Note: Old anti-counterfeit system is running at the same time. We will upgrade anti-counterfeit system to the new one gradually. 1.Scratch offthe anti-counterfeit code layer and find out the complete QR code. 2.Scan the QR code with your phone, the verification result will be shown on the screen. 1.Scratch off the anti-counterfeit code layer and find out the 16-digit security code. 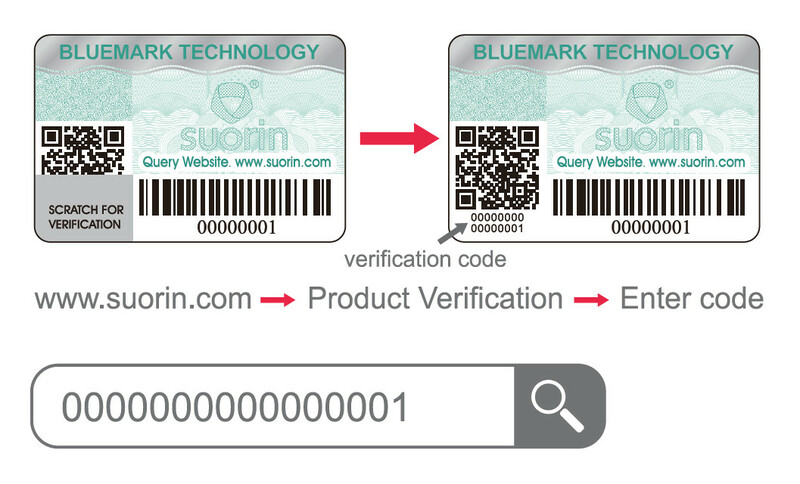 2.Enter Suorin's official website, find the product verification entry at the bottom, and enter the verification code as prompted. 3.Click on the query to check out the results. After product verification, don’t forget to activate your warranty service online. 1.Once activated, you will receive an electronic after-sales invoice, and a 6-months warranty service. 2.Convenient online after-sales service, submit your demand in one step. How to activate your warranty service? 1. Register your product(s) at www.suorin.com, or log in your original account. 2. Enter your personal page, and click on the Warranties service. 3. Click on Activate Warranty Service to fill in your product information. 4.After register your request, an electronic after-sales invoice shall be sent to your email.